Viewers did dip into their own with Life on the Reef premiering to 726,000 viewers for ABC, while even SBS had a good night with their documentaries. Seven network won with 30.3% then Nine 28.9%, TEN 17.0%, ABC 16.3% and SBS 7.6%. Seven News was 1.00m for Seven then Australia: The Story of Us (838,000), My France with Manu (738,000) and Downton Abbey (774,000). Castle was 290,000. Nine News (1.09m) topped the night. Next for Nine were The Block (1.02m), 60 Minutes (686,000). Movie: Argo was 367,000, fourth in its slot. Shark Tank pulled 724,000 for TEN. V8 Supercars was 487,000 / 382,000 / 328,000 and Empire was 377,000. TEN Eyewitness News aired in 3 markets to 236,000. Movie: Star Trek will be adjusted to 151,000. ABC News (821,000) was best on ABC. Life on the Reef premiered well with 726,000. Broadchurch was 635,000 and Fortitude was 386,000. Jillaroo School averaged 218,000 and The Book Club returned to 141,000. SBS ONE had a good Sunday with Tutankhamen: The Truth Uncovered (341,000) then SBS World News (238,000), Monty Python: The Meaning of Live (234,000) and Nazi Megastructures (152,000). 7mate’s The Bourne Ultimatum movie led multichannels with 270,000. 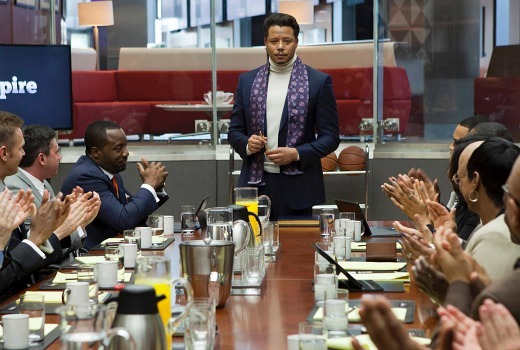 Empire is a great show but it takes until about the third episode to kick into full gear. Shark Tank is really gaining a loyal following, beating 60 Mintues. How much longer can Seven News Sydney persist with Mark Ferguson? The ratings dipped to 170,000 during the week and was beaten by more than 100,000 last night which could well be doubled or even tripled next week with the NRL as a lead in. Talking of language sanitisation…does anyone know where I can watch Kanye West at the Brits 2015 without the audio muted for most of his song due to certain words? Jezza, I’m pretty sure there is no unedited version of Kanye’s performance available as the ITV original broadcast contained the ‘silenced’ bits. Surprised by comments that empire “flopped” and had dismal ratings. Sure that ratings need to improve but it rated about the same as Ncis new Orleans last week so ten have not done any worse by trying something new. Hopefully the can build an audience for the show. I wasn’t surprised at Empire flopping in the ratings.U.S music based dramas never seem to work in Australia,and this show was always going to struggle,especially on Ten. Wow, surprised by Empire’s dismal ratings but can actually understand it. It’s a fantastic show, but as the ratings show the audience is younger demographic. They aren’t waiting until the show is 8 episodes in and after receiving lots of hype from the US. Ten needed to jump on straight away once it launched to massive numbers in the US and then continued to defy expectations and increased it’s ratings which rarely happens. Instead Ten waited, and waited, changed timeslots, then waited… You gotta give it to us straight away and start on time, otherwise this is the result. NCIS NO wasn’t much of a hit in that timeslot as you seem to be suggesting, so it was worth taking a risk on something different. Ten could have improved Empire’s chances by settling on a premiere date earlier and hence allowing more time to market the series. But Ten has the right timeslot and lead in, so hopefully this quality series can build an audience in coming weeks. It suppose next week is the real test. I suspect that TEN should have given Elementary 9pm Sunday – as its been on Sundays since it started (please correct me otherwise). Then Empire should have been 9pm Monday with the ability to swap with Law and Order ratings dependent. It’s also worth noting that Ten simulcast IAC on all three channels last night, but once again failed to update its EPG. My EPG was updated. Odd yours was not. ELEVEN and ONE EPGs updated just after 6pm – both channels will still showing other programming at around 5.30pm (Sydney market) including a 90 minute episode (!) of Raymond from 6.30pm on ELEVEN and iFISH (or something like it) on ONE for 90 minutes as well. Their EPG in Sydney was screwed up all day. Eleven had an hour missing from it. Perhaps I should recant that comment – living in Canberra I often forget that it’s SC Ten rather than Ten proper that might be to blame. Eleven’s epg was also out of wack in Adelaide,7pm to 7.30pm was incorrect & everything after that was an hour behind. An article was put up on Facebook yesterday about Empire. 90% of the comments were “Already watched it by other means”. Not much hope these days for overseas dramas. I think that Mr and Mrs 50+ were rared on an 8.30 pm start to the main show of the night and that is what they like. I understand the $$$ reason for a 9.00 pm start from advertising, but 9.00 pm soon becomes 9.12 with the over run which gives you a 10.20 finish. All of a sudden that’s an hour of lost sleep so people simply don’t watch it or record and watch later. I watched Shark Tank last Sunday and I saw one lousy ad for Empire in that whole hour while Im A Celebrity was rammed down my throat every ad break. If that is representative of the rest of the week, then I’d say Im not surprised by the numbers. It had a decent lead in against soft competition, so there’s no other reason it couldn’t have performed better (by Ten standards, at least). When will our networks learn reality is not the only genre worth promoting. There were quite a few Empire ads running last week. I think the ozrating boxes need to be given to different viewers more often and ones who can commit to turning in to different channels ( not stuck on same channel all the time) and it might make a difference to what real Australian viewers actually watches! So you want the ratings to reflect what/how you think people should watch TV, and not make any attempt to record what/how people actually watch? I’m not surprised. I had nil interest in this show and will be surprised if it works here. I wouldn’t have watched a show about HipHop music even if Downton and Broadchurch wern’t on. Calling it a show about hip hop is quite ignorant. It’s much more than that. The pilot setup quite a few diverse storylines. Hopefully word of mouth will slowly boost ratings. Ok, I saw an encore on eleven. I stand corrected. I thought i wouldn’t be able to relate much to it, turns out I could. Empire was one of the better premiers I’d seen in a while coming out of the US. It built a story and kept your attention. As compared to How to get away with murder’s premier which was confusing and didn’t move smoothly between the past and present and still haven’t watched episode 3. That Mexican sauce on Shark Tank looks interesting. When I looked at the top 20 ratings my immediate thought was gee the overall ratings are quite low for a sunday night. It is concerning to see the shows starting at 8.30pm (or 9.07pm if you’re channel 7) did not draw numbers above 774,000 (e.g. DA)! I thought Broadchurch numbers were reasonable for ABC, Empire results very sad and 9 resorted to a film (which at least was below 10 numbers). This is showing we want to watch something else on our own devices or deviate away to do other things like social media or in our case listen to music (as we did so last night). The networks should be concerned this early in the year about how low Sunday nights results are in this time slot. My husband I and personally did not watch any of the offerings broadcast last night. I wonder if there will be an improve after Easter as the cooler weather sets in. In all fairness to Empire, it has really only been promoted for the last week or so on a middling network , in comparison to Abbey that’s been getting promotion for months on the Nationals #1 network. If Ten continues to promote it and keeps it in the same timeslot, they may find success with it and have the numbers rise like they are on FOX (albeit on a much smaller scale). Empire’s smaller audience is also worth more than Downtown’s larger, older audience to advertisers. Seven, without MKR, has managed to add Sunday to make a complete set of days of the week. You can see why Ten originally scheduled Empire for Eleven. Interesting to see that DA’s younger viewers are that low. Family drama viewing is dead, even on Sundays. I enjoyed Empire, have not really watched Downton since they kliled off Matthew. If people gave Empire a chance they would have seen that it is going to be a great show. That being said if it was on Seven it would probably rate higher. People are slow to try new channels or even old ones once they get comfortable they find it too hard to change channels. Shark Tank is getting some good numbers, maybe they should have put Elementary on after it. I liken Empire to Nashville another music drama, which sadly is not on FTA but on pay TV and as I have not got Pay TV I watch it on DVD. Empire was good, really enjoyed it. But I guess with this being on Ten and on a Sunday night it got lost in the competition, which is a shame. Maybe they should have launched on a softer night and then moved to Sunday, In the US the ratings have increased week on week (something not seen for a long time on broadcast TV), so will be interesting to see if it improves here. I feel so disheartened for Channel Ten. Empire is a fantastic show and deserved a bigger audience. I’m not even into hip hop/R&B and the culture that surrounds it, but it still managed to draw me in. Not all that surprised re: Empire’s numbers. Without writing an essay on why, I just don’t think it’s the type of show to appeal to large numbers in Australia. I watched Shark Tank up until the start of Broadchurch, then Fortitude & finally Castle. Fortitude is a strange show. It’s very well made & I’m interested to see where it goes, but it’s just not keeping me entertained during it. It’s like they do not much for 40 minutes & then pack a lot of the intriguing stuff in the last 10 or so minutes of each episode. I’m done with Fortitude. 3 episodes with an intriguing setting is not enough to overcome chilly characters. Just don’t care enough…. Wavering on this one as well David. Just not enough going on, despite the great setting and what should be an interesting premise. The Stanley Tucci character may get me to hang in for 1 more. I gave up on Fortitude after episode 2.